Handy Tricks and Tips to do your .NET code Fast, Efficient and Simple. Some common questions that comes into mind. Please check if you could find them listed or not. Guys, Here is a forum for you. Just drop any Suggestion, Query, Problem anything here. I will try to solve it. Please make sure that you properly point out your problem clearly, so that it is understandable to me. If you are about to ask technical question make sure you put your code-snippet to your post (if it needs). Hi Abhishek. its nice to see your site. Its cool. What is meant by delegates. I am little confused about the concept. can u make it clear to me. Delegates you may say is a pointer to a function. Say you want to send a method to another class. you can only do that using delegates. Delegates allows you to send methods as argument to another method. Notably you can use Lamda expression to represent delegates which are derived from Func or similar to them. So you might take the help of annonymous methods to define a delegate using lamda expressions. Here I have discussed the basics of delegates and lamda expressions. I hope this would come handy to you. Events are strongly related to delegates as events calls an external method directly from within the code. We expose an event which allow you to use a delegate to send method called eventhandlers to that event. Thus when we raise an event from a class, we actually call the handler which will later be added to that event as Eventhandler. Instead of directly calling the method, we use the concept of event so that it will only call the method if the method is defined in the caller environment(the class which is using it). Therefore you can see use of events can only be possible with delegates as we are going to assign a method to an event. adding the tabs in the content box when we click on the marker. where i have done the mistake. possible. thanku for the time and consideration. Assume this is where I went wrong: because I do know to how to create one. now create an object of |LiveSearchPortTypeClient| which is the basic Endpoint class. throws error like"smtp unhandeld exception"
I saw your application "Basics of Bing Search API using .NET" on the CodeProject. After displaying the search result , I want to navigate to any selected URL. When user selects the item in the list, it will generate Selected Event on the ListBox. Now from the ListBox, find the SelectedItem. now you could easyly open the link (item.Url) in IExplore or any web browser, or you can place WebBrowser control and navigate to that. Actually you only need to find the WebResult object when listbox item is selected. I hope this would help you. It is really very very much helpful. I am a GPS application developer and looking for solution for movement analysis. I want to draw history points on google map but in a movement style. I am able to place 100 points at a time on map but not able to show them in a movement kind of appearence. createMarker(var_TIME_RECORDED, LAT, LON, LAT_OLD, LON_OLD, STATE, SPEED); //=== Function to create marker. // It is working properly. No issue here. Simple use of addOverlay function. pausecomp(10000) ; //=== I tried to put some delay here... but no useless. If you want to deal with large number of markers in a single page, I think you need to go for MarkerManager class already provided with GMAP. You can manage your markers, clear all markers and group common markers using this Collection. If you are using services like GeoCode, ReverseGeoCode etc, you also need to do the rest of the logic within the Callback rather than going for arbitrary delay in the script for certain fixed value. I would like to add a goggle map to an asp.net c# website where a list of address to be shown would come from a mssqlserver. Your tutorial on codeproject is very good. Would you be interested in helping me with this page? The sql db would containg lat, long and some text fields to display when the locator is clicked. The scope of the locations is USA and Canada. You only need to fetch data from database and show as marker in the map. Boundaries doesnt matters, as a matter of fact, US and canada will have support of StreetView as well. Please let me know what problem you are facing while fetching the data from database and show in map. Would it be slow if markers were added by street address instead of lat, lon? I have all the street addresses but not coordinates. see, Gmap only supports the marker to position based on the latitude and longitude. Sometimes we need to geocode address to get latitude and longitude of a position. This comes handy with GeoCode API supported with GMAP. But this is time consuming. Gmap allows you to access geocode api through an AJAX callback. So for each address the Google server needed to be hit to get the appropriate callback. So if you have hundreds of addresses to be geocoded to show the map, it will create 100 of AJAX calls to Google servers. And hence it will hamper performance a lot. If you want to show only one address at a time, you can use Geocode api and you can go with your address, but if you want all your addresses to be shown to the map, this would not be a good idea to do. I think you must have lat / long in the database as well. Good advice. I will add lat/long to our db. I think this will definitely help. Thank you vijay. Let me know if it solves the issue. I am having an issue with visual studio 2005. I am using VSS with visual studio 2005. I have checked out file and made few changes yesterday and without checking in the file i have closed VS 2005(as i do normally). But today morning when i opened the project in Visual studio, i got a message stating that "Unable to load one or more break points" and when i saw the file, it has been overwritten by vss copy and i lost all the changes i made to the file. What could be the reason? This is the 3rd time i got this issue and i am posting here. I also have update panel in the page. Now when i try to browse a file and check for the filename using fileupload.FileName, it shows empty. When googled it gave an answere that fileupload control will not work in updatepanel. But i have the same code in another page with updatepanel and it worked. What could be the differance? You need to use PostBackTrigger to do this. Actually AJAX object cannot upload data from the File System. So either you have to rely on normal postback, or use browser plugins like Flash, Silverlight etc, which supports to access file system directly. Sorry for contacting you directly. After reading your articles about Excel files as data source I believe that you can give me some hints. What is the best way to collect data from several Excel sheets belonging to different Excel files? Those sheets are logically related to each other and contain key fields that allow to find matching records. Say, is it possible to create one connection and then in one select statement gather information as if those sheets are tables in one database? I believe that the technique is similar to whatever programming language I currently use, Excel VBA, VB.NET or Visual FoxPro. Advanced question is what if Excel files were created in different Excel versions, say, 2003 and 2007? I hope that you will not consider it as a rude call. See, if you are about to join two or more files you can do using one select statement. You might go for OpenRowset to connect any file from your sql query as well. You can try google around with OpenRowSet in sql server, to get the information about it. Otherwise, (more recommended) You can use Interop services for Excel. Interop is modified in .NET 4.0 with more flexibilities and version problem been cleared out. Read data using interop. By any means you use, in those cases, all the files needed to be connected simultaneously. hi i am rajashekar, i have one requirement that when user enters their gmail id and password in my asp page, we have to show his gmail page. As how we enter user id and password from "www.gmail.com", whenever we enter correct password it has to open their mail.How can we achive it using asp.net and c#. Well if you want to invoke an external request to www.gmail.com, why dont you use an IFrame and navigate your page directly from the browser itself. Once the authentication is sucessful it automatically redirects to the mail server. This is the most easiest way to handle and probably the only way, as Gmail server puts on SSL connection and you need to have direct connection from the browser to the server to ensure that SSL works fine while you login. Please let me know the proceedings. How to translate my whole website? Am having some products in that website, so I need to translate my website for my customers, without irritating them as well I should help more if It will a end user. There are a couple of options which is available for you. 1. To create your website in such a way that it automatically detects the Client Culture and present the page accordingly from the server using Resource files. ASP.net already supports such kind of things. 2. You can put a plugin which will be added in the client side and provide you the translation of the whole page from the clients end. One that I have added to my site is Microsoft Translator widget, which is available for free. I hope you can take any option. For an application I generally prefer the first option. First of all i would like to thank you for the great work. I have downloaded ur code "How to send mails from ur gmail account" i want to use ur code on an exchange server please give me an overview of the procedure. Why do you require gmail for exchange server. Configure your application to use your own exchange server settings, check what type of credentials you need. You dont need to authenticate using Gmail, rather you just change the SMTPServer settings from my code. I hope you can do the same. Well, I think I have already discussed where to place them. Place them in Templates folder under your Documents\Visual Studio 2005. The templates are of type ItemTemplate and Project Templates. Place in appropriate folder and run Visual studio. I hope you will get what you wanted. The following is working fine. this is my API 01D8BB126E95D11193A267D628860F274B6888BD.. How can I use this in the application?? Well, did you see my article on Bing Map in Codeproject ? I think I have explained everything there. Just read the article and try out the examples to create your Bing map. Can you show me the entire code. I hope this would work better. I gone through your profile and blogs and found that you can help us with our some IT related problems. We are working for project called "Ahmedabad 4 World Heritage City"
You can visit us on facebook : "Ahmedabad4whc". we are planning to make custom map of heritage ahmedabad with some extra features as under. > customized layers side bar for user to select categories or place marks of their interest from all. > logo of our organization at the left bottom of map. Features in bold are already achived. i have you code for that on your gmail and yahoo mail both. Please help us to develop other features as mentioned above. i would like to know is there any way to access wcf (net.tcp binding) from java client. I am sure this will help you. Check my article, i think you will get most of the requirements. :) Sorry for late in reply. I was in a holiday for last few days. NetTCP/NamedPipe are not interoperable with other clients. They are proprietary protocol which optimizes communication between two WCF apps. I think it is better to go with WSE interop with WCF to work with JAVA clients which already supports Binary data traversal or even stremed. But the big problem is that i am not an IT guy. so coding is just like a mystery for me. so please help me with code or direct me to the person who can write code for me please. a problem when rename,protection break. So,how can disable right click because user can not make rename. I am sorry I cant help you. But I would definitely try to find one person for you. I am out of time now but will try to solve or give you an alternative on the same. Sorry for late in reply. 1)Why and at which situation we use WCF? 4) I Create a one REST based service and it is used in my application .i give the call this service from JQuery but it doesn't work . 1. We use service when we want out utility to be available to more than one client or in other words when we want to publish our operation as service which is available to outside world. WCF is an extension of normal web service. 2. ASMX service works only with BasicHttpBinding, it does not support WS*. It can only use SOAP based messages. Even SOAP extensibility allows you to extend your web service to allow encryption but still the body is strict to the w3c standards. WCF on the other hand breaks apart the rules and regulation and allowing you to use any kind of binding like TCP / NamedPipe / MSMQ etc. and helps you to work with any of these. 3. Services are to run on the server and produce output. REST approach makes the service more representational and hence allow you to invoke the service from your browser. JQuery allows you to parse the XML or any JSON object which the service returns, there is no connection between the actual service and JQuery. 4. Did you call the service properly. You need to use AJAX to call the url. This is helpful for me . My another Question is that if i create REST service in one application and use this service in other application then it is work? . Please tell me a details about SOAP. I attached my demo application here that create for the REST service.I m beginer in WCF so something is wrong in this Application.I make ajax call in this Application but it doesn't work. If you have some demo application on WCF for beginer please send me. Once again thanks for helping. My name is Anita and I got your email from codeproject site after reading your article on Restful Crud operation on a WCF service – which was very well written! I have been researching a lot on the web for WCF examples that allow for CRUD and was very happy when I found your article. I did have some questions that I haven’t been able to find a satisfactory answers to. It is always been a common headache when dealing with mobile devices like android, blackberry, iphones as most of them does not support Web service extensions. REST is very helpful when you are calling the service from Browser as it can invoke HTTP requests easily. For your application, I think it is better to check the device from the server. Allow your application to register to your server with its unique identification something using IMEI number. Now when you are calling from those devices always put the IMEI number and UID and pass in the header as encrypted string. You can generate an MD5 auth string during the registration process to uniquely identify the user, and store the same in both server and device. Always send this string to the server from your mobile with IMEI number, UID and pass to authenticate. Now the server knows which calls to respond based on the MD5 hash which could not be decrypted, and also the UID and password that matches for some specific device. This is just a thought, as if I would be in your place, I would demonstrate the same to my people. Please help me with the person or some tips for coding so i can complete the project sooner. our organisation is pending with this map only now. @darshan Hey, but what is the problem you are facing? Couldnt you build the Google app ? It is quite easy I think, did you try my samples ? Thanks so much for taking the time to write back! I really appreciate it. Will this also work for clients connecting using laptops, tablet PC, etc? As I am new to this technology would you be interested in helping me implement this? If yes, what is your rate? If no L would you be able to recommend resources, books, websites, tutorials, etc? Can Restful support returning JSON data? I look forward to your reply. Thanks again! Yes Anita, Restful supports JSON. There are lots of tutorials around, you can take a look into google for links and tutorials. 1) Connect to a GSM modem. 2) Receive SMS and execute webcam to take picture upon receiving SMS. 3) Picture taken is saved to computer. 4) Send picture to email automatically <--- How do I do this automatically without any UI? Hope you will have some time to look through this e-mail. Looking forward to your reply. Yes, there is no need as such for UI to send an email. Just replace the textboxes with actual email ids, userid and password and execute in background. No need for an UI. Thanks for your reply. It means a lot to me. Can i ask you 1 more question? Is it possible to send an e-mail with attachment automatically, like every minute? What I mean is the program will be run in the background and can I program it such that it will scan a folder that I specify and attach a file and send it as an e-mail every minute? Yes you can send as many mail as possible and also with attachment, but to remind you, if you go on sending so many mails, google mail server will detect you as a spammer and ultimately stop sending. This is there with google server as many people misuses it. But if you are using your own SMTP server, it will be no problem at all. I hope this answers your question. Happy programming. This is Jignesh Patel. By profession i am a software professional. I read your article and was very interesting. Thank you very much for such a nice article. I would like to know if we can bind the dynamic data to the Google Map. E.g. XYZ compnay has a 5 different locations and this location comes from database. Now i want to show this location in the google map. These locations could be changed. So may be next month XYZ get more locations. So could you please help me how to find this dynamic data with the google map. Parse the data and show the marker. Thank you very much for your favourable reply. 4)Parse the value to show the marker. Is there anything i have to add the reference in order to access the google map? Thank you very much once again for your wonderful support. In your case if you want to do this using normal database call from your aspx page, you can do either by loading those points in hidden control and parse it from your client side code using simple getElementById calls to those controls and draw the marker in the map. I had seen your blog at the code project site as given below,really it seems very good but I could not understand how can I relate with old objects.it looks like generics in C#. I am working in C# 3.5.Can I take advantage of this in 3.5 framework? Actually the class is actually with .NET framework BCL. So it will not be available with .NET 3.5. But this is no big deal, you can create the same yourself. Just create a class with as many parameter you need and then expose those. Simple enough to do. I have installed visual studio 2008 express edition.When i start to create a windows based as well web based project,most of the template are missing.For the past one week i tried in online but nothing works for me.How can i install the missing template in my visual studio 2008.I would be really happy if you can help me about this issue. I think either you reinstall the application or try to find the templates. Templates are installed in your MyDocuments. It should be there under Visual Studio 2008 folder of your documents folder. Please check whether they are missing or not. I just want to ask you one question.. What technology/language I should learn so that I can make lots of system/application softwares at low level. Sometimes it really confuses me as which language I should know first, c# or Java? I want to learn the low level things just the way u started your career. Any suggestion will help me a lot. 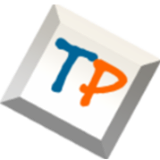 I saw your post in codeproject its awesome. I've one doubt plz clarify me when you get time. Can we host wcf service in webserver say aspspider.com? WCF is same as webservice when you have configured as BasicHttpBinding. Actually there is no restriction to WCF to host in any environment. I think it could easily be hosted with aspspider.com, even though I didnt tried it(it should be). Thanks for your kind info and great help. I'm getting some error like authentication="windows" It shld be an application some thing like this. I'll send you the exact error soon. Mean time I'll also try to find the solution for this. Once again thanks for your help. I am just new in Google map api and I have to develop a application to show GPS data history. I was trying to find out some samples and I found your nice article on codeproject. I have the following requirement. 1. I have to show polyline with arrow. 2. Starting and end point should be a meaningful icon. 3. Clicking on marker icon I have to show info window. Info window content should be the combination of database data + reverse geocoding. 4. on mouse over on map I have to show Lat,Long in a textbox. Can you help me to develop this things. Waiting for your favorable response. 4. I have done it already in my Example 6. Here Ripu Daman Maheshwari ! How r u? I m also keen to know .net technologies. But i need guidance from you.hope you would not disappoint me. Thanks a lot for your nice reply. I really feel the need to learn either Java or .NET. Surviving is also very important. i am developing a Google map in our website. i already done G point. but i am unable to put tiles on Google map. plz help me. Did you read my article already on Google Map. I think the examples does load GMap. I hope this would help. This is the best post i EVER see. i need to show root between 2 customer in the same city. There is Geocoding API for that. click on the map to get two points and click Get directions. You will get the direction. Now open the code in notepad and try. I bit it was succeeding to be some unexciting old despatch, but I’m satisfied I visited. I thinks fitting register a tie-up to this site on my blog. I feel my visitors determination find that very useful. Anyway, since you seem to cover a wide range of Computer Science and C# topics from fundamental programing concepts (e.g. : looping) to things which I want to learn more about such as casting, address space randomization, object notifiers, etc. that come part and parcel with .NET and the programming languages that target it, I'd like to know if there is a way to add all of (just) your .NET Tricks blog entries to date (as of say next Monday) to an RSS feed and continue adding them from about then onward, without including all the threaded replies. I just don't have the time nor the inclination to follow the complete threads for most of the blogs that interest me, but do like to skim the main entries and dig deeper or do further research on occasion. The main posts are enough to tell me where to start. Here is the link for my blog entry. I have a requirement for a web page where I need to update the status of the user. I wonder how FB/twitter works. As per my knowledge one simple way to do this is "making ajax calls to the server using java script setinterval function". But this will make huge calls to the server. Is there any other ways to do this. My intention is to reduce unnecessary calls to the server. Silverlight is out of box as plug-in installation required. Push notification for normal webpage (which is disconnected from the server) is not possible, if you think of a situation where your application does not stop there are few options like COMET. But let me remind you, its not an actual Server Push Technology. Here there is a major performance issue. The thread which is created in the server will not be aborted and keep on running and also it opens up an active communication channel between the two machines. But this is usable. Other than that, you might use server call using SetInterval. To ensure you do not eat up server resources, you create a Cache entry for the data in some cache server. Call the server at an interval and check only the cache entry(may be through an IHttpHandler). When cache entry gets updated due to data change, you might get data to the client. BTW, there is another option too. You might also use Silverlight/Adobe Air sandboxed applet for browser which also opens up socket on both server and client, so that when server is updated, the client gets notified. But unfortunately this showing me the directory browsing but if i write the url like localhost:port/Default then this is showing me the correct one.what should i do? I thought I would drop in and say hello. My name is Sam. I am the owner of Uuom.com. You shop on the web or in-store? which would you go for? actually wondering lol.. i love in-store only because i hate waiting it to arrive! hi, new to the site, thanks. I have gone through you r article in Code porject related to Google API, really i have learnt from that lot, i am developing the web application i want to use google api for my applicaiton, please let me know how to use google api with dynamic data from database, i want to add marker with different colorover the map based the data from sql database and also i want to draw a line(dotted line) in between to marker is it possible to do with google api. I am using an XML file stored in the server to get the data. You may use your webpage or may be load them inside some hidden field to do this job etc. where I have explained everything regarding Gmaps. I hope that will help. can u halp me ? I found after I executed “dtMessages.Load(command.ExecuteReader(CommandBehavior.CloseConnection));”, the SqlCacheDependency notification immediately fired out, so the cache immediately got empty. Could you please help me about this, or is the Cache.Get("Messages") always empty in your local test environment? You always need to use dbo before tablename. it`s really great work, but there is a problem that when i try to retrieve the excell sheet, the message apper is "the 'microsoft Jet OLEDB.4.0' provider is not registered on"
The interesting name of a site - www.abhisheksur.com, interesting this here is very good. I spent 5 hours searching in the network, until find your forum! Its a technical site. Do not post any personal information here. I spent 3 hours searching in the network, until find your forum! I think you may want to put a twitter button to your blog. I just marked down the site, however I must make this by hand. Just my 2 cents. I read your post on Google Map. I like it. I want to ask you, if I have to display Google Map for our company location in its Website,How to do it? I want to display placemark and company name in that map. Hey, have you tried my article ? It clearly explains this. Even I think you will find source code to do exactly what you want. In all affairs it's a healthy thing now and then to hang a question mark on the things you have long taken for granted. Im sam, how is everyone? Hello. Interesting site you have. Please make sure that the question you ask is somehow related to the post you choose. Otherwise you post your general question in Forum section. 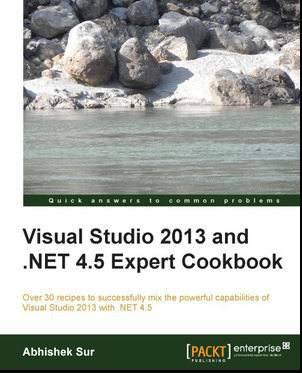 My friend Shivprasad Koirala who is also a Microsoft ASP.NET MVP has released Learn MVC 5 step by step video series. It starts right from basics of MVC and goes to a level until you become a professional. You can start taking the course for free using the below youtube video. Please try it, you will find it awesome. To Get your free copy, Click here.